Reverse Osmosis Membrane replacement for the AQ-RO-3 OptimH2O Reverse Osmosis Drinking Water System. 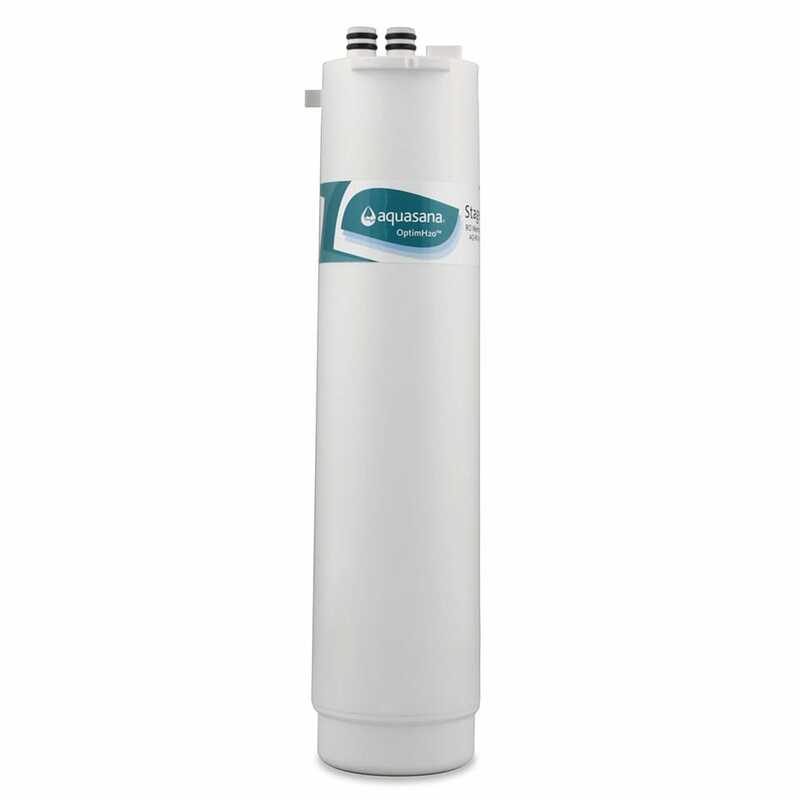 OptimH2O® Reverse Osmosis Stage 2 RO Membrane Replacement is rated 4.4 out of 5 by 34. One Reverse Osmosis Membrane (stage 2) replacement for the AQ-RO-3 OptimH2O Reverse Osmosis Drinking Water System. RO Membrane should be replaced annually based on water quality and usage for optimal filter effectiveness. Rated 5 out of 5 by Leroy1 from works well Works as it should. Water tastes great. Price is fair. Rated 5 out of 5 by Fagowe Bob from Wonderful! We've had our unit for two years now and still going strong! We installed it into our 50ft sailboat and no matter where we go we know that we have the best water to drink and cook with! Rated 5 out of 5 by Mileaux from Lovin it! We purchased our Aquasana filter system over a year ago and just love it. Got rid of bottled water for good. Rated 5 out of 5 by ran1010 from Easy Installation! I replace all of my filters once a year and just a few every six months. Facing the first full replacement, I had my doubts and concerns about the job. It couldn't have been easier unless someone else actually did it for me! Rated 5 out of 5 by Lacewoo51 from Excellent product! We have gone through a full year now with complete replacement of all the filters which were very easy to replace - the auto ship made it a very simple project as we had all the filters for replacement. The water quality is excellent and we highly recommend this company and their products! Rated 5 out of 5 by Florida Mom from I would by this product again I have had this water filter system for one year now. I love how this water taste. I know I am getting a better quality of water through this system. Before my water system, the water from my tap, or filtered refrigerator water would leave a pink residue build up in my dogs water bowl. Since we installed the water filter system, that has never happened. That right there tells me something about the difference. Rated 5 out of 5 by R.C. Diesel from Bye Bye Fluoride, hello alkaline water! This is my 3rd set of filters on my undercounter filtration system. I am extremely happy with the quality and value of Aquasana. I have the Optum H2O reverse osmosis with claryum. Bottled water doesn't stand a chance against Aquasana. I was looking for an affordable water filtration system that would remove fluoride plus provide alkalinizing minerals. I found it with Aquasana. This water is the best tasting water by far. I signed up for the filters for life program and definitely appreciate the discount and convenience for this service. Aquasana doesn't ship a replacement elbow along with the new RO filter, so you have to remove and re-use the old elbow. Push the red ring around the elbow towards the filter, while pulling gently on the elbow. It should come loose pretty easily. Unfortunately the instructions don't mention this AND they tell you to just throw away the old filter, which includes the elbow. I've had my system for two years (and really like it) but last year when I replaced the filter it was the same story. I would have thought they'd fix the instructions by now. Called customer service to let them know about the issue and got a very unhelpful response, so I expect this will continue to frustrate their customers for the foreseeable future. 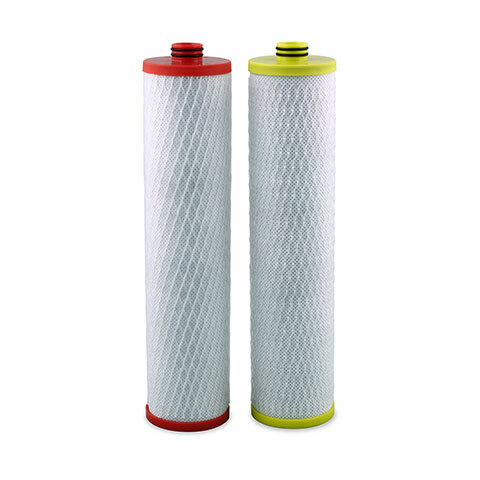 Does Ro filter have CTA or TCF membrane? How long is this Membrane filter lift time? My previous Aquasana Reverse Osmosis system has Membrane filter life of 2 years. This seems only one year. Why?